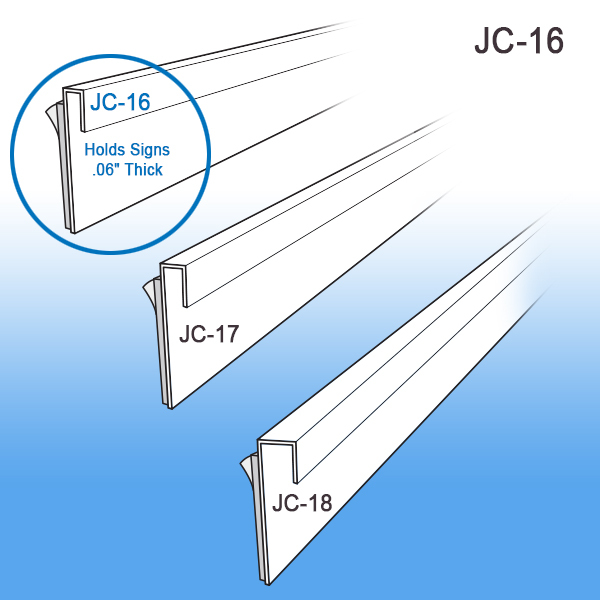 Minimum quantity for "J-Channel Sign Holder, JC-16" is 25. *If you need shorter lengths, contact us for a custom quote! This J-Channel wall mount sign holder product is multi-functional. It can be used to create a simple sign, it can create a multi-tiered sign (with use of our H-Channels) or it can even create a shelf edge price channel if your edge is tall enough. 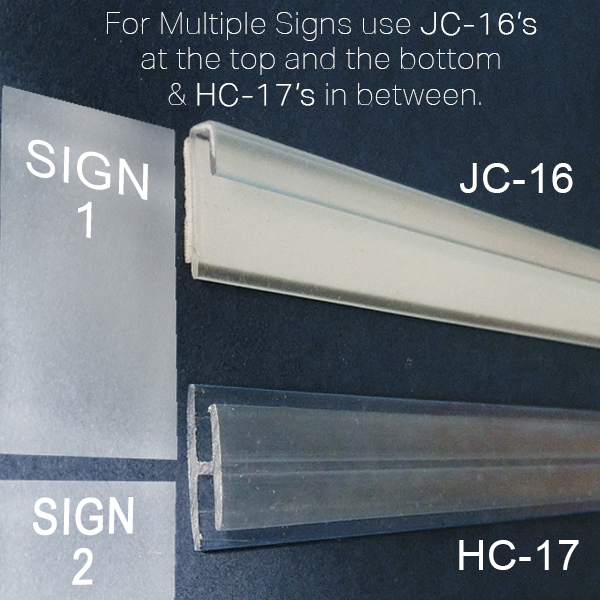 Just slide a sign in between the channels once mounted to the wall or display and your sign will come to life. It can be used in warehouses, retail stores and various businesses, hospitals, schools and government institutions where communication is critical. 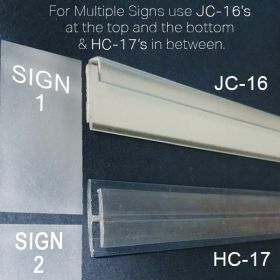 You can make the signs as high as you need, and when you need to change out messages, it is not a problem, simply remove the current sign and replace with new one(s) utilizing the same channels. Not sure if it will work for your application, contact us for a FREE SAMPLE of the product. Clip Strip Corp. manufacturers and distributes sign holders for wall, ceiling, off the floor, on the counter top and from the shelf edge.